Check your website’s SEO problems right here! 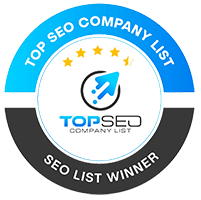 This is the part where we show the search engines what you are about, many people think the content on the site should do that but the search engines are looking in very specific places for the most important triggers and sites just do not come that way out of the box. You need on page optimization to get you there. As mobile has taken over search speed is absolutely vital to rankings. Page speed is a huge ranking factor now. It’s not a guarantee of a first page but it is a mandatory element. Making your site fast will be one of our top priorities. Most businesses are just not interacting fully with social media, the search engines especially Google see social media interaction as a big indicator of a businesses relevance. If you are not there you wont be able to rank as well as with consistent social media interaction. Think of the search engines as a popularity contest. If other sites that the search engines like, like you then you are one of the popular ones. We get you there. Once we do all that work its nice if your site converts! There are a few relevant elements that if you leave them out you wont convert, we help fix those issues. Create a good Google add campaign that works! Being a Google Partner Agency means that we have had to pass a myriad of tests to understand the Google adwords system in most cases better than the tier one support staff at Google. That means we can set up a Google adwords campaign that is both efficient and effective. Scheduling, is also important to a efficient campaign. Dos your business convert more when you are in and open? Don’t run adds when you are notopen! Do you have a complete digital marketing program for your company?